A cute, simple sheep craft from allkidsnetwork.com. A bird in a cage from krokotak.com. A craft that demonstrates the center of gravity. This is from education.com. A clever way to make a wiggly snake. This is from crayola.com. Dinosaurs to print, cut, and fold from rain.com. Eight animal masks to print at this site. This is from colomegood.com. Print two of these shapes on cardstock. Glue a large craft stick on one and then glue the second shape over the craft stick. Children can decorate with markers or crayons or glue objects on it. A variety of puppets to make can be found on this page. A variety of paper crafts from Canon. If you are studying the farm or just need a red barn, this is an easy one to print and put together. A standing cow pattern is just below it. This is from mcguirezone.com and requests a donation. Some farm animals can be found HERE but would need to be made smaller to go with the barn. Make a complete town from card stock. This is from yourchildlearns.com. A simple house and tree pattern from marthastewart.com. I would enlarge the pattern and use card stock instead of file-folders. Great for kids to show a favorite book. This is from krokatak.com. Print the SUN FACE (on yellow card stock or have children color it). Print the verse Psalm 84:11 KJV NIV on white card stock. Use the same Directions as the Lion Fan above. An easy and creative way to make sun visors from paper plates. This is from krokatak.com. This cute hedgehog is made by folding a paper plate, cutting a piece out, and then fringing around the edge. The site is not in English, but the pictures are clear on what to do. This craft uses three paper plates (you could use the small ones) and is from enchantedlearning.com. Paper Plate Wind Twirler or Snake. An easy way to make a wind twirler or snake. This is from thriftyfun.com. Make a tambourine from a heavy foam or paper plate. 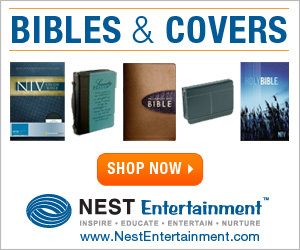 Download the verse pattern or the Christmas verse pattern(NIV) KJV. Make your own pinwheel by following these directions on janbrett.com. Some information for teachers about kites. Learn about Sugar Gliders and make a Sugar Glider Kite. This glider pattern from NASA has several experiments to do with your glider. A super glider pattern from Canon Creative Park. Make this cute twirly bug from Crayola. This paper toy spins through the air like a mini-helicopter. This homemade hovercraft can be played with over and over again. An easy to make windsock from Crayola. I would use card stock instead of construction paper because it is more durable. A lion pattern can be found above with the lion fan in the paper plate crafts above.